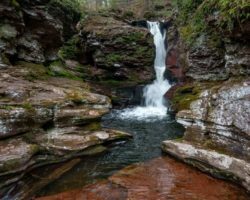 Sullivan County, Pennsylvania, is a destination predominantly known for its great outdoor attractions, highlighted by Worlds End State Park and Loyalsock State Forest. However, it’s also a great place to visit if you love museums thanks to great ones like the Eagles Mere Air Museum, the Eagles Mere Auto Museum, and the Eagles Mere Museum, all of which I’ve previously written about. 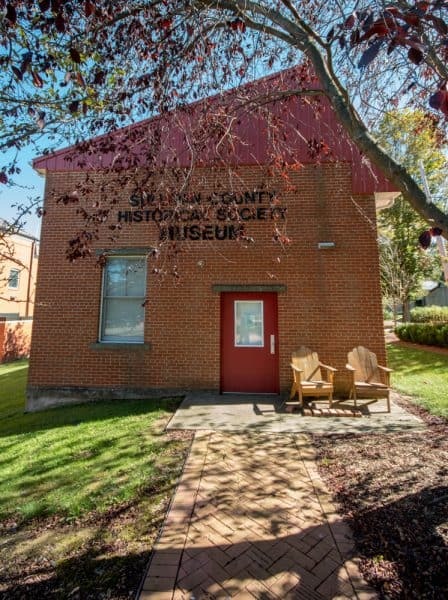 Today, I’d like to add another museum to the list: the Sullivan County Historical Society Museum. The Sullivan County Historical Society Museum is located in Laporte, the smallest county seat in Pennsylvania. 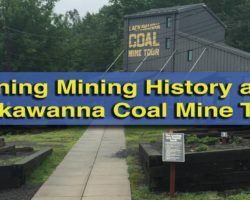 It highlights the history of this county and how, despite being the county with the second smallest population in PA, it has impacted the region and the country (Incidentally, the smallest county in PA, Cameron County, also has a great historical society museum). The museum is spread between several buildings adjacent to the county courthouse. The first is a small brick building that was once an extension of the courthouse. This building houses the historical society’s county records and genealogy information, as well as several rooms filled with displays. The main building of the Sullivan County Historical Society. Inside the rooms here are most of the typical things you’d expect to find in any rural county historical society museum: an early 1900s kitchen set up, a number of antique military pieces worn by country residents, and fair memorabilia. However, there are also a few pieces that I found quite interesting. The first was a copy of a deed that a resident made giving 600 acres of nearby property to God in the mid-1800s. Known as Celestia, the land was repossessed by the government when taxes on it weren’t paid. The area where Celestia was located sits just outside of Laporte and is owned by the historical society. Curious visitors can use their self-guided tour map to check it out for themselves. Another interesting piece is a large smokestack from a train engine that fell into the Loyalsock Creek in 1906. The smokestack actually remained in the waterway until is was pulled out in 2014 and given to the museum. 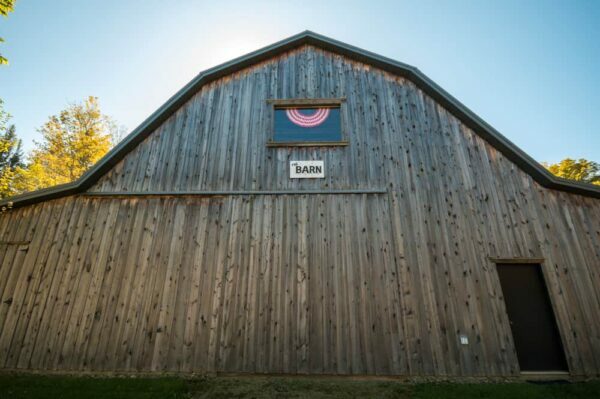 The museum’s second building is known as The Barn. Just a few steps from the main building of the Sullivan County Historical Society is a barn that also houses portions of the museum’s collection. 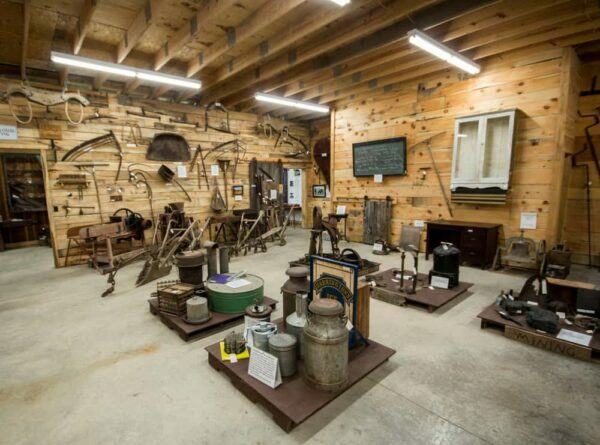 This section of the museum showcases large items, as well as having set ups featuring a variety of industries that thrived in northeastern Pennsylvania. These include a recreated local butcher shop and general store. The main display area inside the barn. The main area of the room has several large pieces including a large steam engine that is in working order and a 1920s sleigh, as well as dozens of tools scattered throughout. There were also two pieces in this building of the museum that stood out to me. The first was a dog treadle. This piece of machinery required a dog or goat to run on something similar to a treadmill. This would then generate power that could be used to power a number of household devices such as a butter churn. The second fascinating piece in the museum was a makeshift snowmobile. This piece was made using an airplane propeller and a Harley Davidson motor. It’s amazing to see a piece like this that was spliced together by a local resident. I can’t imagine how brave you would have to be to go for a ride in this amazing machine. 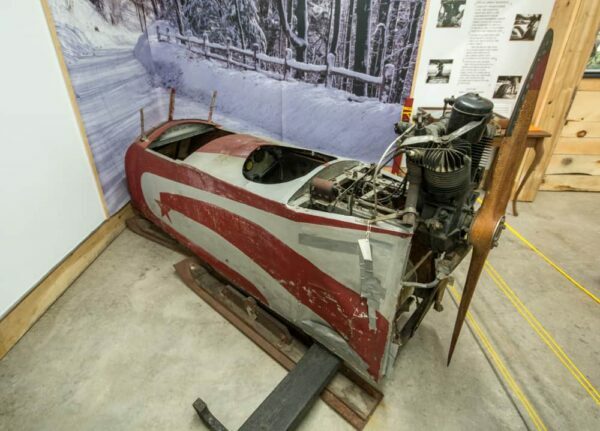 It would have taken nerves of steel to ride in this makeshift snowmobile. In addition to these two display buildings, the Sullivan County Historical Society also owns the Baldwin House. This home is one of the oldest homes in Laporte and showcases life in the region in the 1800s. While this home is normally open during the museum’s hours, I was unfortunately unable to go inside this home during my visit to the museum. 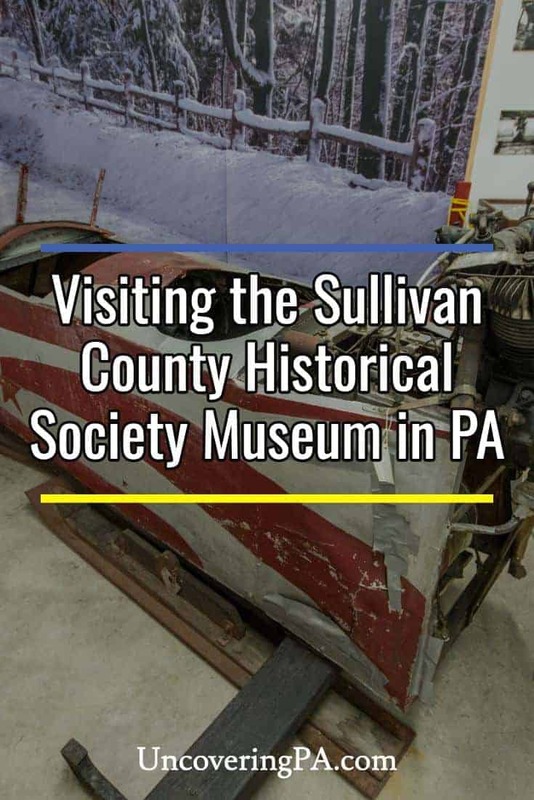 Overall, my visit to the Sullivan County Historical Society Museum offered an interesting look into what life was like in one of Pennsylvania’s smallest counties. 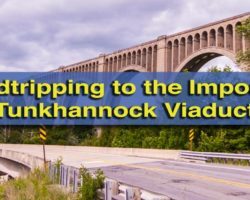 In an area that’s known for its natural beauty, its nice to look beyond that and learn more about the people and items that impacted this portion of the state. If you are visiting Sullivan County and looking to learn about the area’s history (or just need a break from the outdoor adventure), don’t miss this neat museum. 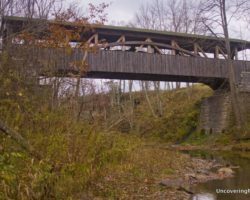 Looking to explore more of northeastern Pennsylvania? Check out the Bradford County Museum, French Azilum, the History Center on Main, and nearby Dutchman Falls.